Unitaid’s secretariat is responsible for finding new ways to prevent, diagnose and treat HIV/AIDS, tuberculosis and malaria more quickly, effectively and affordably. Led by Executive Director Lelio Marmora, the secretariat staff manage the day-to-day operations of the organization and implement the policies approved by the Unitaid Executive Board. More information on the functions of the secretariat can be found in these by-laws. Hosted by the World Health Organization (WHO) and based in Geneva, Switzerland, the operations of the secretariat are administered in accordance with Unitaid’s constitution and WHO rules. Wale’s background is in project and grant management. Before joining Unitaid in 2016, he was deputy director of the Global Maternal and Newborn Programme at the Clinton Health Access Initiative. Olawale is from Nigeria and holds a bachelor’s degree in cell biology and genetics, and a Master of Public Health. 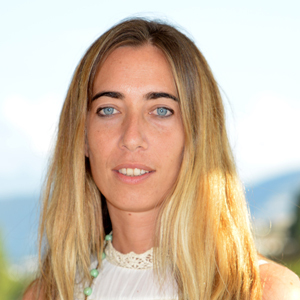 Ana is from Spain and has ten years’ experience in programme management. She has worked in grant management for multiple international organizations. Ana holds a Master of International Business Management and a post-graduate degree in international cooperation and project management. She joined Unitaid in 2016. Denitza joined Unitaid in June, 2018. She is an experienced and results-driven program manager, researcher and evaluator, in fields spanning sexual and reproductive health, and economic development. 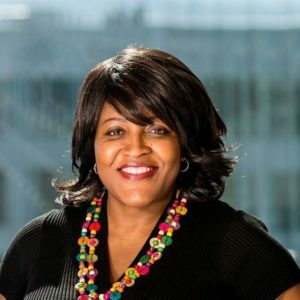 Most recently, she served as senior program officer at the International Planned Parenthood Federation (IPPF) in New York, where she led the development and implementation of interventions to reach underserved populations with clinical and educational services. She also oversaw the organization’s HIV and Zika programmatic portfolio in Latin America and the Caribbean. 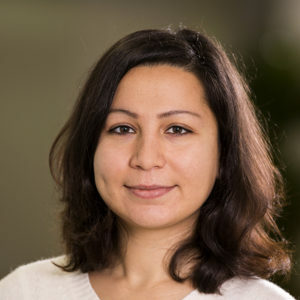 Originally from Bulgaria, Denitza holds a bachelor’s degree in economics and a master’s in public affairs with a focus on international development. Irina has worked extensively in international development organizations, specializing in finance, business services, risk and compliance. She has held posts at a spectrum of United Nations agencies, including the World Health Organization and the United Nations High Commissioner for Refugees. In 2009, she joined Unitaid. “I’ve become very passionate about what Unitaid does. It’s a very interesting mandate, and important for humanity,” Irina says. 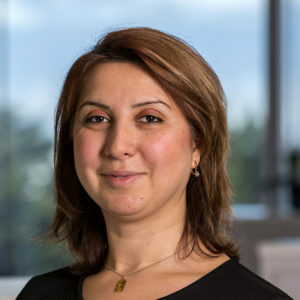 “What matters to me is contributing to make life better for everyone.” Irina is from Armenia, holds an MBA from the IE Business School in Madrid, is a chartered certified accountant (ACCA), and holds a university degree in English language and history. Oana works in administration and project support. Before joining Unitaid, she worked as a field trials manager in disease vector control. Oana, a native of Romania, holds a bachelor’s degree in biology and is enrolled in clinical trials post-graduate studies at the London School of Hygiene and Tropical Medicine. Carole has more than 20 years of experience in administration and building management. She worked at the World Health Organization before joining Unitaid in 2011. Carole is from France and holds a bachelor’s degree in psychology. Draurio, a physician, has worked for two decades in epidemiology, HIV/AIDS, tuberculosis and public health. Before joining Unitaid in 2015, he headed the TB programme in Brazil’s ministry of health. Draurio is from Brazil and holds a degree in medicine and a post-graduate degree in public health. Anne-Line has more than 10 years’ experience working in public health in international organisations. 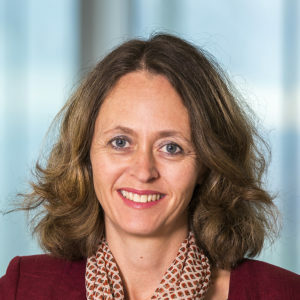 Before joining Unitaid in 2017, Anne-Line held positions at the World Health Organization with the Global Malaria Programme and the Expanded Programme on Immunization, and at the Global Fund. She has also worked in the NGO sector in programme management and resource mobilization. 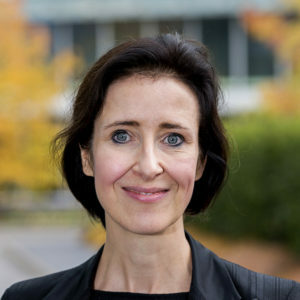 Anne-Line holds a bachelor’s in anthropology, and master’s degrees in international relations and international public health. 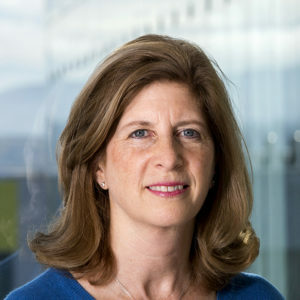 Katherine has held positions with the United Nations Environment Programme, UNAIDS, the Center for Global Development, the World Health Organization and the Health Metrics Network. She holds master’s degrees in organizational management and public health. She is from the United States. Mailys came to Unitaid in 2017 with a background in project finance, including a post at the UK Green Investment Bank in London, which seeks to accelerate the country’s transition to a greener economy. As a project finance senior associate, her role was to make investment decisions on renewable infrastructure projects involving offshore wind, energy from waste, waste recycling, biomass and energy efficiency. At Unitaid, her role is to ensure that grant money is used efficiently, and in line with agreements. She is French, holds a master’s degree in finance, and speaks English, French and German. Vincent has worked in strategy consulting and healthcare for 10 years. He was a principal at Boston Consulting Group before joining Unitaid. He holds a master’s and PhD in quantum physics. Caroline joined Unitaid in 2016, after six years with the World Health Organization’s Global Polio Eradication Initiative. She has also worked as a cardio technician at Geneva’s Clinique des Grangettes Cardiology Centre. A native of Switzerland, she holds a diploma from the Swiss Health and Social Care Centre. Alexandra is an expert in programme management and health policy. Before joining Unitaid, she worked on pharmaceutical pricing at the World Health Organization and held a number of positions at the Ministry of Health in her native Canada. She holds a bachelor’s in biochemistry, a master’s in international public health and a PhD in pharmaceutical policy analysis. 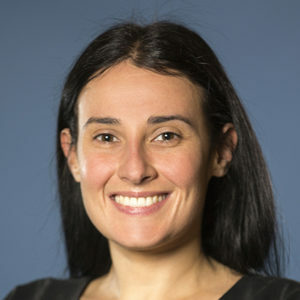 Sofia is from Spain, qualified as a barrister in 2007 and has spent more than eight years providing legal advice and auditing services in the private sector, as well as policy, strategic and advocacy advice within the United Nations, in the areas of health, human rights, gender and development. She holds a master’s degree in intellectual property and information, communications and technology law, and has practiced law in different European jurisdictions. 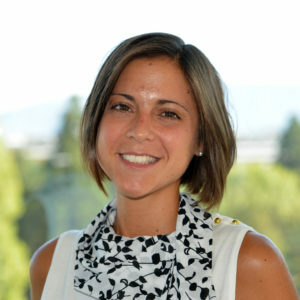 Before joining Unitaid in 2018, Sofia worked in Haiti, as program manager of the human rights service of the United Nations Mission for Justice Support in Haiti (and Office of the United Nations High Commissioner for Human Rights, Haiti), where she developed the strategy aligning the mandates of the organization with the exit strategy of the peacekeeping mission and the 2030 Agenda for Sustainable Development. She says she joined Unitaid because her expertise in intellectual property and passion to protect the most vulnerable groups fits with the organization’s mission of making quality medicines accessible and affordable in places of great need. Jeppe has worked for nearly two decades in human resources management and organizational development. 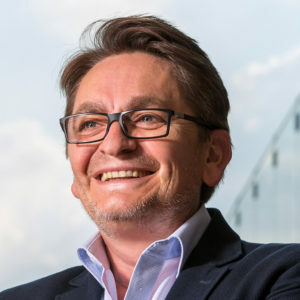 Originally from Denmark, Jeppe has held posts at the World Health Organization, the United Nations Secretariat and with UNICEF in Africa, Asia and the US. He holds a bachelor’s in business administration and a master’s degree in law. 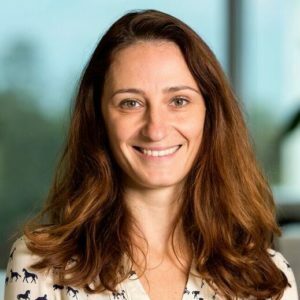 Tijana came to Unitaid in 2017 from the United Nations Development Programme, where as an analyst she assessed the impact of Global Fund grants. Her background also includes two years in Tanzania, where she was advisor to a program on prevention of mother-to-child HIV transmission. Partway through her time there, she was hospitalized with P. falciparum malaria, which left her with a first-hand appreciation of fast access to diagnostics and treatment. “I kept thinking, imagine having to deal with this without running water, without electricity, without access to healthcare. Not to mention that a lot of the people who get malaria are pregnant women or kids under five, people who are already vulnerable.” On Unitaid’s results team, Tijana evaluates the impact of grant projects. “When people think of impact assessment and evaluation, they think it’s just numbers, but it’s so much more,” Tijana said. “You really need a good understanding of what your program is trying to achieve so you can choose the right measures of success.” Tijana holds a Bachelor of Science degree from the University of Toronto and a Master of Public Health from Charité University in Berlin. She was born in Serbia and immigrated to Toronto as a child. Serena’s background includes administrative assistant positions in the private sector, notably the world’s second-largest shipping line, Mediterranean Shipping Company, as well as work in the public sector, with WHO’s Global Polio Eradication Initiative. 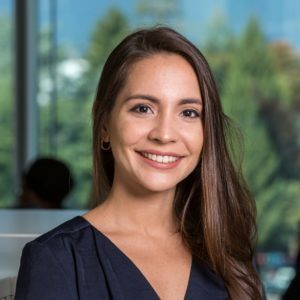 Originally from Italy, Serena finished her university degree with a project on the languages of northern Mozambique, and then earned a master’s degree, with honors, in international tourism from the MIB School of Management, completing some of the studies in Panama. Her three years of living in Africa included time in Kenya, and in Mozambique, where she worked with local people to develop an eco-tourism lodge on the Mozambican island of Ibo. She speaks Italian, English, Spanish, Portuguese and French. David has an extensive background in financial management, accounting, organizational development and analysis. He served as a director at the United Nations in New York and at the Global Fund before joining Unitaid in 2015. David is from Ireland, and holds a master’s degree in engineering and an ACA certificate. Mauricio has spent his career in advocacy, partnership building, resource mobilization and development. A Brazilian, he joined Unitaid in 2013 after working as a representative in various countries for UNAIDS. 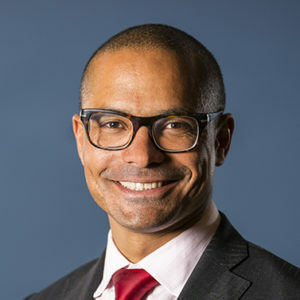 Mauricio is a lawyer and holds a master’s degree in Law and Diplomacy and in International Public Law from the Fletcher School in the US and the Graduate Institute in Geneva, Switzerland. 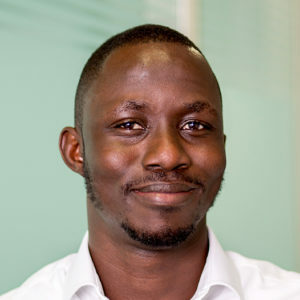 Alexandre joined Unitaid in 2018, coming from the Institute for Democracy and Electoral Assistance (IDEA) in Sweden, where he served as budget and grant compliance manager. At Unitaid, his role is to ensure that grant money is used efficiently, and in line with agreements. 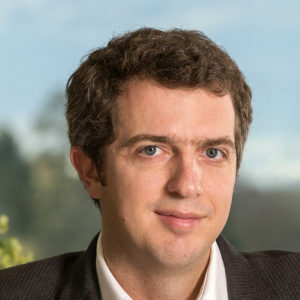 Alexandre has worked in two French nongovernmental organizations, and has field experience in Latin America and the Caribbean, Asia and the Middle East. He speaks English, Spanish and French and holds a master’s degree in business administration and development. Alexandre says working extensively on the grantee side of projects has given him a strong view of what to expect from Unitaid grantees. Smijka oversees Unitaid’s portfolio of HIV/hepatitis C diagnostics grants. She has extensive experience in programme management and HIV prevention, treatment and care. Originally from Serbia, Smiljka holds master’s degrees in pharmacy and public health. Claudia has worked for more than a decade in public health and international development in Asia and Africa. 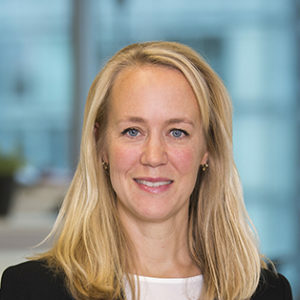 Before joining Unitaid, she worked at the Swiss embassy in the United Arab Emirates, as a consultant at PricewaterhouseCoopers, and as senior program officer in grant management at the Global Fund. 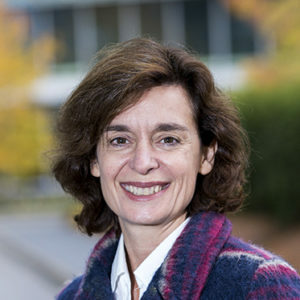 Claudia is Swiss and holds a master’s degree in international relations from the Graduate Institute in Geneva. Loveena was an undergraduate studying economics in Chicago, still not settled on a career, when in 2004 she volunteered to go to Uganda and work in an orphanage of HIV-positive children. No HIV medicine was available at the orphanage, except now and then for children whose relatives could afford to supply it. Three of the children she worked with died during her four-month stay. “That’s what really got me into HIV/AIDS,” she said. Loveena went on to work with HIV-positive refugee women in Tanzania, and then with people at high risk of HIV in her native Mauritius. 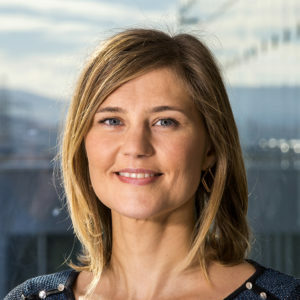 She joined Unitaid in 2017, impressed by the organization’s “clinical eye for results”. An economist, Loveena has also worked for the World Bank in Washington, D.C. and the Southern African Development Community Parliamentary Forum in Namibia. Jemmy joined Unitaid in 2016, after serving as finance and support services director in the Rwanda office of World Vision International. He holds a bachelor’s degree in accounting and a master’s in corporate finance. Jemmy is originally from Indonesia. Kristen has worked for law firms, NGOs and international organisations. Before joining Unitaid in 2014, she was a legal advisor for Médecins Sans Frontières. 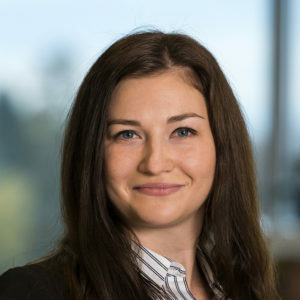 Kristen holds bachelor’s degrees in business and laws, is admitted to practice as a lawyer in New South Wales, Australia, and passed the Paris Bar Exam. 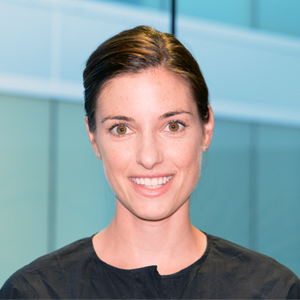 Kristen is from Australia and joined Unitaid to follow her passion for promoting public health in low-income countries. Dr. Duneton was instrumental in the 2006 creation of Unitaid. His long career has focused on HIV/AIDS, infectious & tropical diseases and public health. He was twice advisor to Bernard Kouchner of France’s Ministry of Health, practiced medicine in the Infectious Diseases Department of La Pitié Salpétrière hospital in Paris, headed the mission against HIV/AIDS and harm reduction for l’assistance publique, Hôpitaux de Paris. He also led the French regulatory agency for medicines and health products, and chaired the board of the European Medicines Agency. Akko joined Unitaid in 2017, building on extensive management experience in humanitarian and development settings in Angola, Democratic Republic of Congo, India, Niger, Uganda, South Sudan and Zimbabwe. 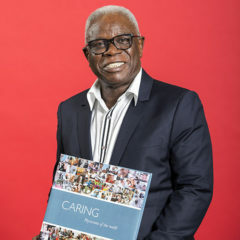 During a decade with Médecins Sans Frontières, he managed programs and teams that provided quality healthcare during and in the aftermath of armed conflicts, natural disasters and epidemics. He has also held posts at Population Services International in Angola, and as Geneva-based liaison to the Global Fund. Originally from the Netherlands, Akko holds a master’s degree in economics, and a master’s degree in public health from the London School of Hygiene & Tropical Medicine. A native of Senegal, Fatou has more than 15 years’ experience in auditing, financial management and accounting, and has been working at Unitaid and the World Health Organization since 2013. She is a certified expert-comptable in France, a Certified Fraud Examiner (CFE) and holds a master’s degree from Emlyon business school. Danielle joined Unitaid in 2013, after working as a project coordinator with Médecins Sans Frontières in Democratic Republic of Congo, Kenya, Niger, South Africa and Haiti. Danielle is from Ireland and holds a master’s degree in global health. 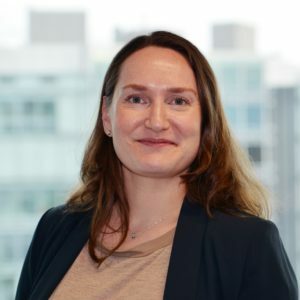 Katerina joined Unitaid in 2016, with a background in market & policy analysis, health economics, and strategy development for multinational and international organisations. 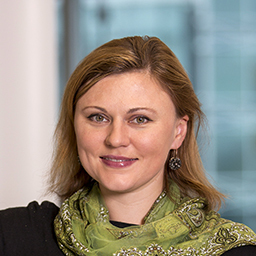 Originally from Australia, Katerina holds a bachelor’s degree with a double major–history/government & international relations– and a master’s in health policy. Ivan is the mainstay of Unitaid´s IT department. He joined Unitaid in 2008 from the World Health Organization. Ivan is from France and holds a Baccalauréat Technologique. Janet joined Unitaid in 2012, bringing a background in strategy development and technical programme management. She has worked in the private sector on pharmaceutical pricing and reimbursement, and at the World Health Organization in diagnostics. She holds a bachelor’s degree in chemical engineering and a master’s in bioscience enterprise. Kate has extensive experience in international development, particularly in strategic and operational management. She has worked for NGOs in Cambodia, the United Kingdom, the Netherlands and the US. Her work at Unitaid is underpinned by a belief that impact in global health requires market-minded interventions, designed specifically to serve those with the greatest need. Kate holds a bachelor’s degree in Southeast Asian studies and a master’s in anthropology of development. She is from the UK. 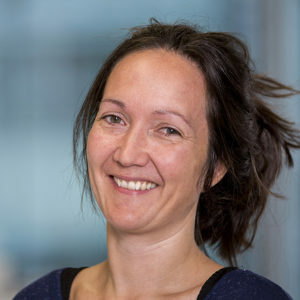 Caroline came to Unitaid in 2018 from WHO, where she worked 14 years in various departments, including seven in the Office of Legal Counsel. She holds a master’s degree in management with specializations in law, international business and marketing from Ecole Supérieure de Commerce de Chambéry. During her studies, she did a one-year internship in Barcelona in the contemporary art sector. Caroline is from Dijon and has been living in the Geneva area for 15 years. Thomas joined Unitaid in 2015, after working in quality management for Bosch and Stop TB Partnership. He holds a bachelor’s degree in business administration and a master’s in audit and finance controlling. Thomas has dual French and Swiss nationality. 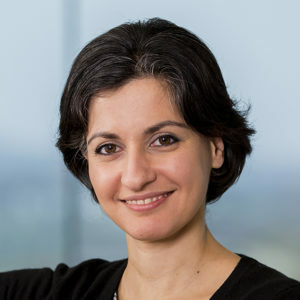 A British national, Sonia qualified as a UK solicitor in 1994 and has spent more than 20 years providing legal, regulatory and policy advice in the private and public sectors. Sonia joined Unitaid from the private sector in 2009. She holds a master’s degree in jurisprudence and an LLM in European law. Marina was advisor to the French ambassador for AIDS and communicable diseases at the French Ministry of Foreign Affairs before joining Unitaid in 2016. She holds a bachelor’s degree in international affairs and master’s degrees in development & social change, and European public management. A native of France, Marina is experienced in advocacy, partnership-building, public relations and public health. 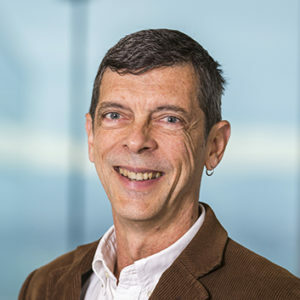 Andrew came to Unitaid in 2015 after a long career as a journalist with Reuters News Service that included postings in Madrid, Moscow, Mexico, Milan, Hong Kong, Caracas, Zurich, London and Rome. 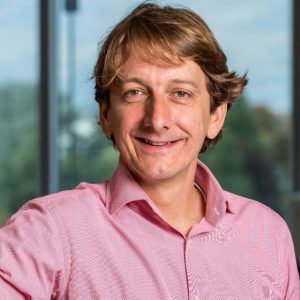 Andrew says that although Unitaid’s goal can be stated simply–harnessing innovation to end epidemics in lower-income countries–the organisation’s day-to-day work is often behind the scenes, complicated and technical. 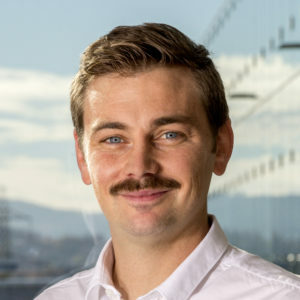 He sees the communications director’s challenge as “explaining what we do in clear language, and finding ways to bring it alive.” One of the pleasures of working at Unitaid, Andrew finds, is the youthful energy, dedication and intelligence of the staff. Before joining Unitaid, Andrew was head of media and translations at The Global Fund. He is originally from the UK, loves the sea and the mountains, and is a voracious reader. 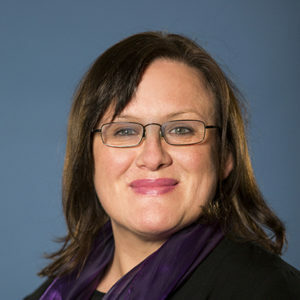 Heather is an expert in programme management and health policy development. Before joining Unitaid in 2016, she was a senior programme officer at the Global Fund. She holds a bachelor’s degree in health service administration and a master’s in public health, focusing on health policy and management. Heather is from the US. 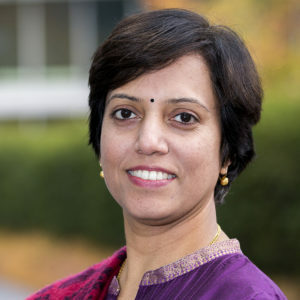 Gauri’s background is in economics, health statistics and programme evaluation. 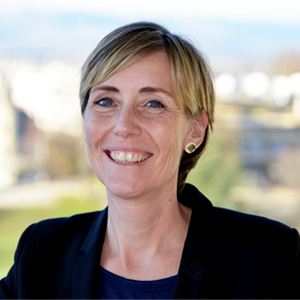 She came to Unitaid in 2015 from the Gavi Alliance, where she was a senior programme manager. 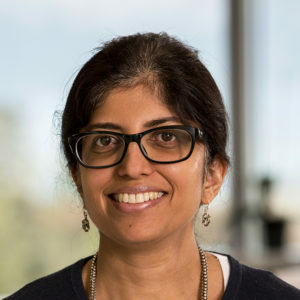 Gauri, originally from India, holds a bachelor’s degree in economics, master’s degrees in economics and international economics, and a PhD in international economics. In her spare time, Gauri enjoys reading historical fiction, crime fiction and histories of ancient objects. Oksana, originally from Ukraine, joined Unitaid in 2013, after positions with UNAIDS and UNOPS. Her experience is in programme management, advocacy, partnership-building and governance. She holds a bachelor’s degree in management and a postgraduate diploma in project management. Charlotte is from Sweden. She holds a PhD in international health and a bachelor’s degree in technology and biology. Charlotte has almost 20 years of experience in international health, including research, consulting, and programme management and oversight. She has worked for several international organisations, including the Global Fund. 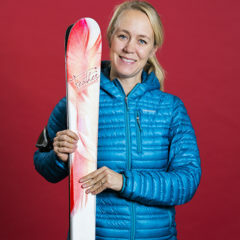 Charlotte joined Unitaid in 2018. 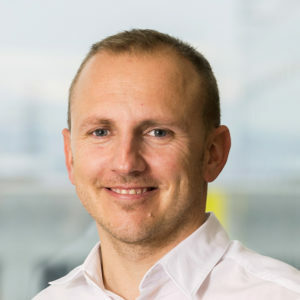 Ross is an economist and has held positions at the UK Department of Health and Department of International Development, and at the International Labour Office in Geneva. He holds a master’s degree in economics. 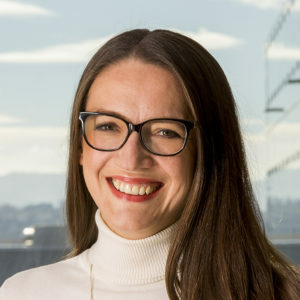 Marina joined Unitaid’s external relations team in 2017, with a background in law, international relations and coordination of country partnerships. 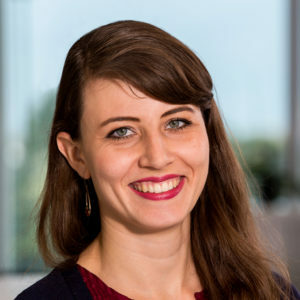 Her work involves building relationships between donor countries and potential donor countries, and helping them understand the value of investing in Unitaid’s work. Marina grew up partly in Angola, where her parents operate a private clinic, and through that experience developed an interest in promoting health as a human right. 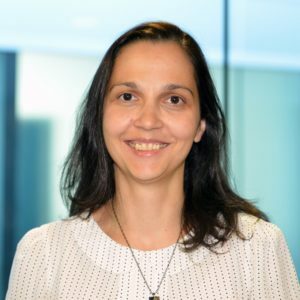 Originally from Brazil, Marina started her career in corporate law before moving to Angola to volunteer at the UN Resident Coordinator’s Office and UNDP justice and human rights department. She worked at Unitaid as partnerships officer in 2014-15. Marina holds a master’s degree in human rights from the London School of Economics, and a law degree from Mackenzie University in Sao Paulo. Lorenzo has worked in more than 14 African countries, travelled across many high-disease-burden and post-conflict countries, and has lived on four continents. He joined Unitaid in 2007, bringing his experience in procurement, logistics and diplomacy. Lorenzo is from Liberia and holds an MBA degree in marketing. Thomas is from Zimbabwe and has a wealth of financial management experience, having worked with ICAO, UNICEF, UNFPA, UNDP and UNESCO. He has held posts in Zimbabwe, Ethiopia, Austria, Mozambique, Liberia, the US, Papua New Guinea and Kenya. Thomas is a chartered management accountant (ACMA, UK) and has a master’s degree in strategic management from the University of Derby (UK). 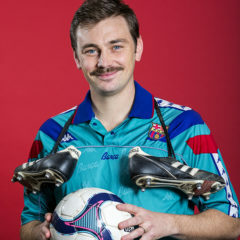 He joined Unitaid in 2017. 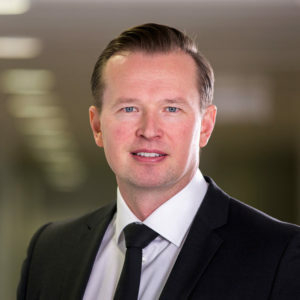 Jason is a dual-qualified lawyer in New York and England with more than 10 years’ experience at leading global law firms, including in the London, Milan and Munich offices of Freshfields Bruckhaus Deringer, and subsequently at Reed Smith. 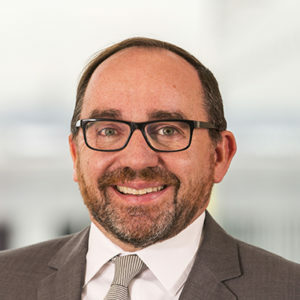 Jason has extensive experience advising financial institutions and international organisations on a wide range of legal issues, including in relation to innovative finance transactions, governance issues and international law. Before joining Unitaid/WHO, Jason advised and acted as associate legal counsel to the Gavi Alliance in Geneva. Stéphanie has more than 10 years’ experience working in public health in both the private and public sectors. 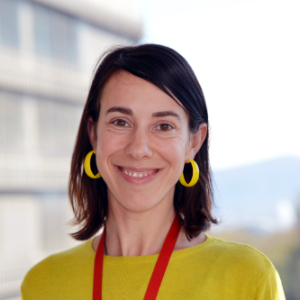 Before joining Unitaid in 2019, Stéphanie worked at the World Health Organization with the Expanded Programme on Immunization, focusing on improving access to vaccines in middle-income countries. She has also worked for several NGOs in the field and headquarters, including MSF Access Campaign, and in the private sector for McKinsey & Company. 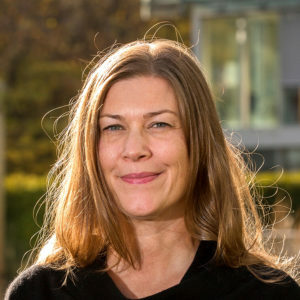 Stephanie holds a Master of Science in Management from Grenoble Business School and a postgraduate diploma in public health from the University of Manchester. 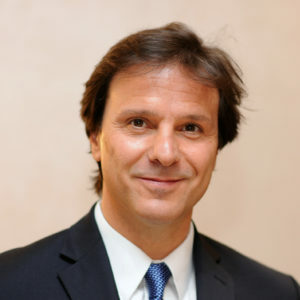 Lelio Marmora has extensive experience in international development management and leadership. 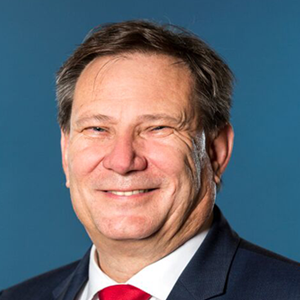 He has held substantial roles working in implementer countries, managing large-scale development initiatives and providing technical advice and assistance in complex political environments. Lelio has also played senior strategic, operational and resource mobilization roles in the head offices of a range of international agencies. 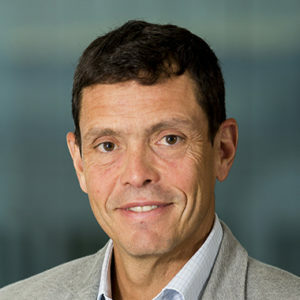 Since joining Unitaid in 2014, Lelio has overseen a major transformation of the organization, refocusing strategy, doubling staff, broadening the grant portfolio, and moving toward a more integrated approach to health challenges with a strong emphasis on promoting innovation. Earlier in his career, Lelio headed the Africa and Middle East department at the Global Fund, overseeing a large portfolio of grants spanning nearly 50 countries. He supervised large-scale programmes at the World Bank and the Inter-American Development Bank that focused on modernizing state structures in Latin America. He has worked at head offices and in the field both for donor organizations and recipient countries. Lelio holds bachelor’s and master’s degrees in public, administrative and international law. 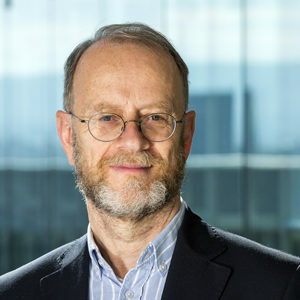 He is a board member of the Global Fund to fight AIDS, Tuberculosis and Malaria, a strategy committee member of France’s Institut de Recherche pour le Développement, and a founding member of the Paris-based think tank Solidarité et Santé Mondiale. Sarah is a communications specialist with a varied, 20-year background that includes the French film industry, the TV network Eurosport, and more than a decade with public health organizations. Her work with Unitaid has taken her regularly to visit people whose lives have been improved, or even saved, by grantee projects. Hearing their stories and being able to spread them to a wider audience has been one of the most enriching aspects of her career. “When you see the countries, it becomes so real and tangible that Unitaid is making a difference,” she says. 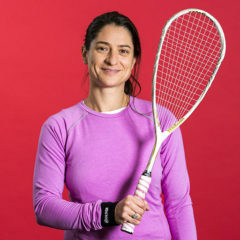 “You’re proud to be part of the response, along with all the other players.” Sarah was born in London and raised in France, and holds a master’s degree in communications strategy and cultural project management. 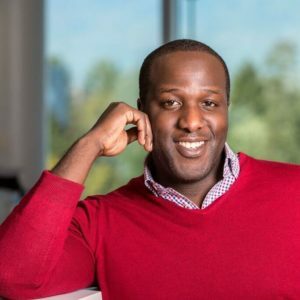 A dual Kenyan-Canadian citizen, Robert is a specialist in multi-sectoral program management, business development, technical cooperation, grant management, resource mobilization and strategic partnership engagement. 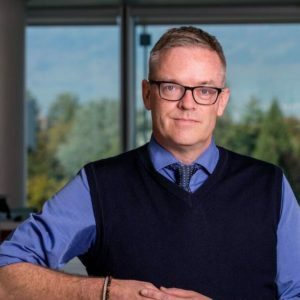 Before joining Unitaid in 2012, he served as senior operations manager for the World Health Organization’s Pandemic Vaccines Donation Initiative and as chief operating officer of the Global TB Drug Facility. Robert holds a bachelor’s degree in international relations and a master’s in international development. Nargiza specialises in monitoring and evaluation, data management, analysis and research. Before joining Unitaid in 2016, she worked as a monitoring and evaluation specialist at the Agency for Technical Cooperation and Development and as an evaluation consultant for UN agencies. Nargiza holds a bachelor’s degree in international relations and public administration and a master’s in political science. Gelise joined Unitaid in 2008, bringing an extensive background in public information, public health and programme management. She has held positions in communications and knowledge management with GAIN and UNDP. Originally from the UK, Gelise has a bachelor’s degree in communication studies and a master’s in public health. 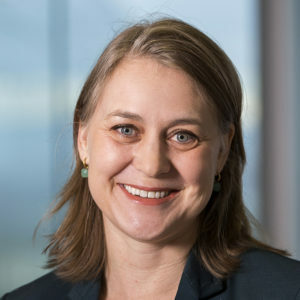 Sophie joined Unitaid in 2016, after holding administrative assistant posts at UNAIDS and the World Health Organization. Sophie is a native of France and holds a BTS compatibilité-gestion. Richard’s experience has spanned real estate, retail and logistics in the private and public sectors in Switzerland and the US. He is a dual Ugandan and US citizen, and holds a bachelor’s degree in business administration from Jersey City University. 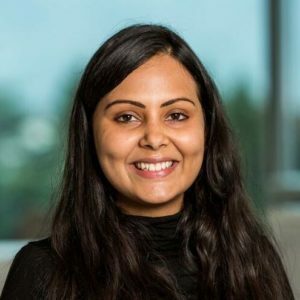 Deepti, a public health economist, joined Unitaid in 2017 after positions with the Global Fund and UK Health Forum. 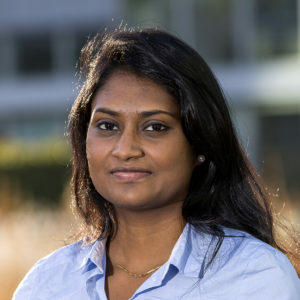 “I like the idea of applying principles of economics to the field of public health,” Deepti says. “Public health need is immense and we need to carefully prioritize where we put our funds.” At Unitaid, she works with grantees at various stages to assess their projects’ potential impact. Deepti is from India and holds a master’s degree in health economics. Monica has held jobs in human resources, management and recruitment. Before joining Unitaid in 2015, she worked as human resources manager at SSai Business Consultants, Ethiopia. Monica holds a bachelor’s degree in psychology, English literature and journalism, and a master’s in international human resource management. She is from India. Yamuna is a physician with deep knowledge of tuberculosis, programme management and public health. She joined Unitaid in 2012, coming from the World Health Organization. She holds a bachelor’s degree in medicine and surgery and a master’s degree in public health. Ombeni comes from Tanzania, with a background in project monitoring, evaluation and research. 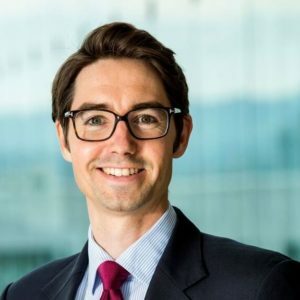 He joined Unitaid in 2016, after working as an associate specialist at the Global Fund. Ombeni holds a bachelor’s degree in computer science and a master’s in epidemiology. Ombeni says he finds meaning and fulfilment in his job, because he is working toward the health and wellbeing of others. 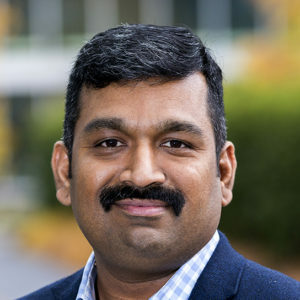 Kothi came to Unitaid in 2008 from the World Health Organization, with a background in administration and human resources management. Kothi is from India, holds a bachelor’s degree in mathematics, numerical analysis & statistics and a master’s in political studies. 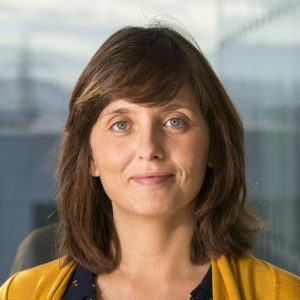 Edith joined Unitaid in 2017 after ten years with the World Health Organization. At the WHO she worked in several departments, including the Internal Oversight Service. Edith has a diploma in continuing education from the University of Geneva. She is originally from Cameroon. A native of Malaysia, Nicole has 10 years’ experience in international procurement and logistics. 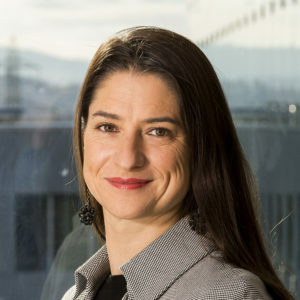 She joined Unitaid in 2016, coming from the World Health Organization. 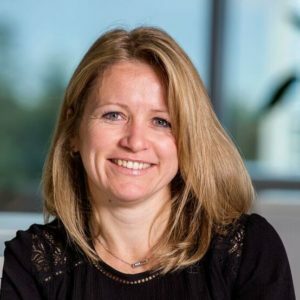 Nicole holds a bachelor’s degree in supply chain management and is a member of the Chartered Institute of Procurement & Supply. Momcilo draws on his background as a cognitive psychologist to engage and expand Unitaid’s digital audience. “I’m always thinking about how people perceive and process visual information,” says Momcilo, who creates and curates communications materials for Unitaid’s website and social media. 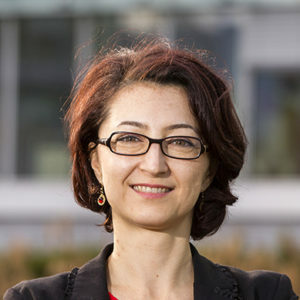 Before joining Unitaid in 2011, Momcilo worked in communications at international organisations including UNHCR, WHO and UNAIDS, in the private sector with Hewlett-Packard spinoff Agilent Technologies, and as a teacher at the University of Geneva, showing students how to create and publish digital content. Momcilo, a dual citizen of Serbia and Switzerland, holds a master’s degree in psychology. Sara is experienced in capacity-building and public health, spanning pharmacy, nutrition and biomedical research. Before joining Unitaid in 2015, she worked as a training manager at Management Sciences for Health, Swaziland. Sara holds master’s degrees in pharmacy and human nutrition & metabolism, and a PhD in medicine and therapeutics. She is from the UK. Nicole came to Unitaid in 2018 from Claro Healthcare, a management consulting firm in Chicago, where she was a healthcare financial consultant. Her background also includes time at CVS Pharmacy, where she was an analytics consultant in the specialty drug division. At CVS, Nicole designed analytical tools to help healthcare professionals identify trends in use and adherence for new pharmaceutical products. Nicole also has experience working in global health as an intern at Otsuka Pharmaceuticals in Geneva, an office focused on the development of drugs for multidrug-resistant tuberculosis, and at UNICEF headquarters in New York City. 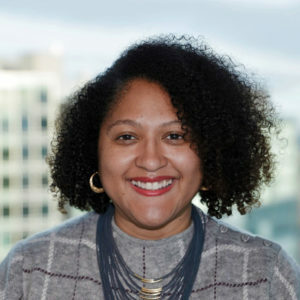 Nicole believes the effective use of data is critical to shaping global health policies and priorities.“On the results team, I hope to inform strategic decisions by analyzing, visualizing and presenting data in an accessible and interesting way,” she says. 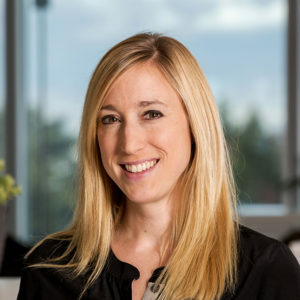 Nicole holds a Bachelor of Science degree in biology from the University of Denver and a Master of Public Health degree from Yale University, where she specialized in healthcare management and global health. She is originally from Minneapolis, in the United States. Mārtiņš, originally from Latvia, has more than 20 years’ experience working with UN organizations, specializing in public health issues. 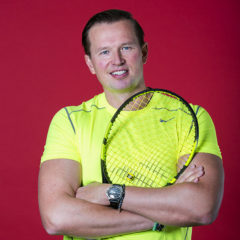 Before joining Unitaid in 2016, Mārtiņš worked as adviser on strategy, policy and governance at the Roll Back Malaria Partnership. He studied international economic relations and international law at the Institute of International Affairs in Riga and the Graduate Institute of International Studies in Geneva. 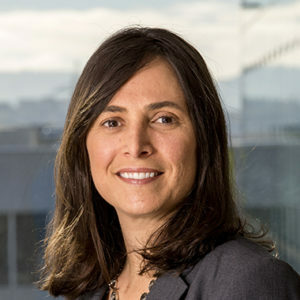 Carmen brings more than twenty years’ experience in pharmaceutical policies, partnerships, strategic planning, grant-development and evaluation. 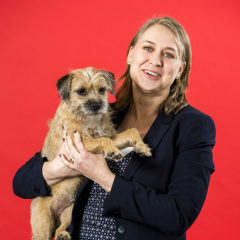 Before joining Unitaid in 2012, she worked with diverse international organizations including Médecins sans Frontières, and global health institutions such as the Global Fund, always focused on overcoming barriers to health access, and scale-up of the best drugs and diagnostics in resource-limited settings. She holds a bachelor’s degree in pharmacy, and a master’s in virology. Judith has a background in international development management, public health and resource mobilization. Before joining Unitaid in 2016, she was senior adviser of external relations at UNAIDS, and programme officer, Health Section, at UNICEF. She has also worked in building public/private partnerships in education. Judith holds a bachelor’s degree in economics and a master’s in business and public policy. She is from the United States. 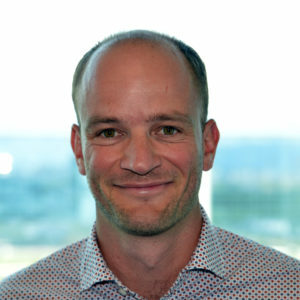 Julien has many years’ experience in audit, risk management, CSR and project finance, including more than five years with a global health private venture. 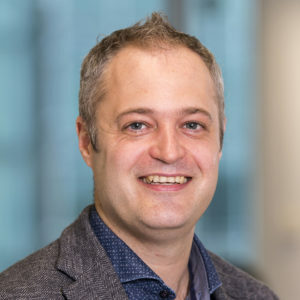 Julien has also worked as corporate finance project manager and interim head of finance at a public-private joint venture for the Piriou Group. Julien is French and holds a master’s degree in finance. 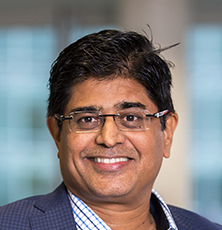 A British national of Indian origin, Ganesh has expertise in grant management, compliance, financial analysis, risk management and change management in humanitarian and development programmes. Ganesh has held positions at CARE USA, IRC, Christian Aid, and Oxfam. He has worked in South Asia, the Balkans, Afghanistan, Central Asia, Africa and the UK. Ganesh holds a bachelor’s in commerce and a postgraduate degree in business administration. Originally from Italy, Anna Laura has a background in global health, in particular in HIV biomedical research and global health policy. Before joining Unitaid in 2017, Anna Laura served as head of international affairs at the ANRS, (Agence Nationale de Recherche sur le Sida), and as a biomedical researcher with experience in the UK, France, Cameroon and Cambodia. 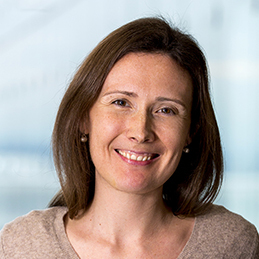 Anna Laura is particularly interested in facilitating and accelerating the translation of evidence-based science into policies for the benefit of global health. She holds a PhD in biomedical research and a post-graduate qualification in global health policy. 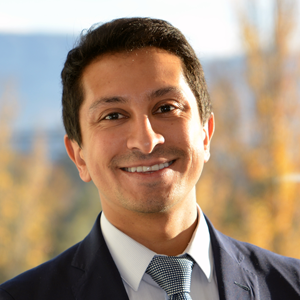 Radana joined Unitaid in 2014, bringing a background in financial analysis and accounting. Radana has worked as a financial accountant in several private companies. She holds a bachelor’s degree in international economics and a master’s degree in finance. She is originally from Russia. Tim has an extensive background in public health management and quality improvement. 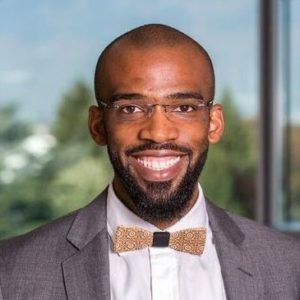 Before joining Unitaid in 2017, he was strategic communications specialist for the US CDC in Thailand and acting PEPFAR coordinator for the Asia region. 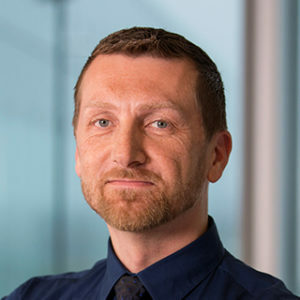 Tim has also been managing director for Solve, CWS, and principle officer and ISO quality manager for the Stop TB Partnership’s Global Drug Facility. 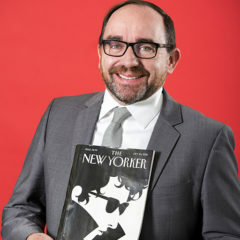 Tim holds a bachelor’s degree in English and education and a master’s in professional writing. 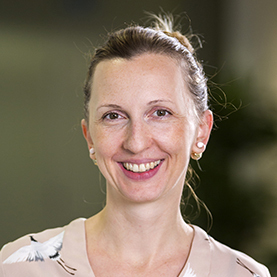 A Russian and Swiss national, Katya has over eight years of experience in health programme management. Prior to her current role, she worked as Senior Country Manager at Gavi, the Vaccine Alliance. She holds a Bachelor’s in Economics and French Literature and Master’s degrees in Health Economics, Policy and Management and in European Studies. 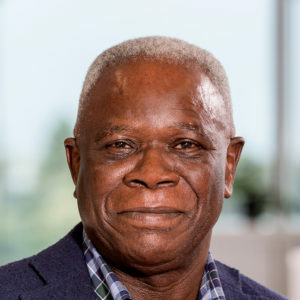 Dr. Scott is a global health specialist with over a decade of experience in developing and advancing innovations and products for neglected diseases. “I’m super interested in the idea of scaling up innovations,” Dr. Scott says. “Too often, products are developed but they aren’t brought to scale. They don’t get to the places where we need them. Unitaid is in a good position to do that.” Dr. Scott’s experience spans preclinical to market work, and she has collaborated with stakeholders and partners in resource-limited settings across 30 countries. 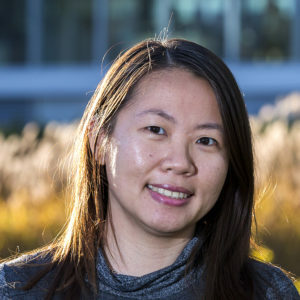 She received her PhD in international health with a focus on tuberculosis and vaccine development from Johns Hopkins Bloomberg School of Public Health. She has a Master of Public Health and a BS in biology from Florida A & M University. 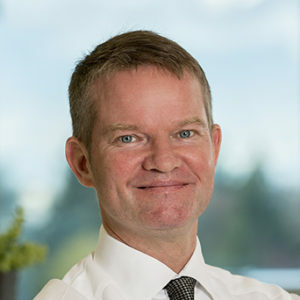 Dr. Scott is from the United States and joined Unitaid in 2018. 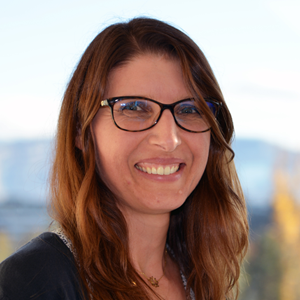 A dual citizen of France and Switzerland, Laetitia joined Unitaid in 2015 with a background in partnerships, project analysis and advocacy. She holds master’s in public affairs from Sciences Po and a master’s in arts and languages from EHESS. Laetitia was country representative at GROUPE SOS in India, and worked as partnerships analyst at the UNOPS office in Washington, DC. Dessie came to Unitaid in 2017, after posts with the Global Alliance for Improved Nutrition, Habitat for Humanity International and UNDP. She started her career in private equity and strategic consulting in London and has experience in project and grant management in Africa, Asia and Eastern Europe. 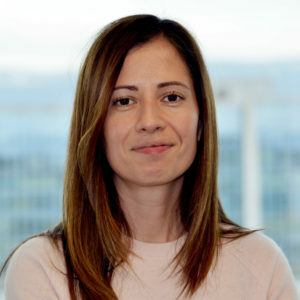 Dessie, originally from Bulgaria, holds an international organisations MBA degree from the University of Geneva and a bachelor’s from University of Bath in politics and economics, with a focus on health and development economics. Romane, from France, has a background in programme management. She joined Unitaid in 2013, after working as a project manager at DMI Associates, a consulting firm that specialises in public policies and economic development. 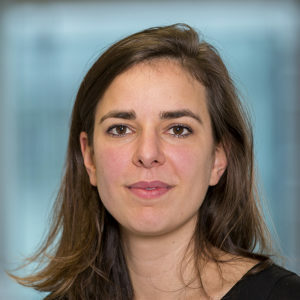 Romane holds a master’s degree in management from EDHEC Business School, and a master’s in economics from the University of St Andrews. Catherina is an expert in intellectual property and pharmaceutical supply & regulation. She came to Unitaid in 2011 after World Health Organization posts in Guinea, Indonesia, India and the Philippines. Before joining WHO she worked with a medicine-supply NGO in Uganda. 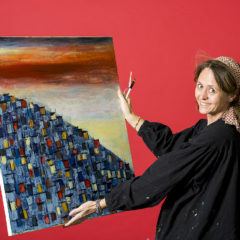 Catherina says her career has been guided by an abiding interest in the subject matter. “I enjoy the combination of the technical and the practical,” she says. “And I believe in what I do. I believe that everybody should have access to medicine and treatment.” Catherina is from the Netherlands and holds master’s degrees in pharmaceutical sciences and political science. 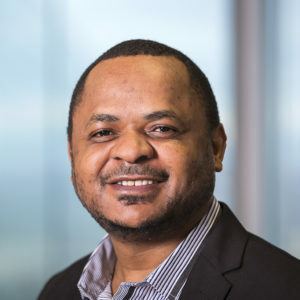 Essien came to Unitaid in 2017 from the World Health Organization, where as a member of WHO’s Health Emergencies Programme, he worked on strategic planning for responses to the Ebola and Zika outbreaks. He has also worked at PricewaterhouseCoopers as a management consultant. Essien holds a bachelor’s degree in political science and a master’s in public health. He is from the US. Monique has an extensive background in accounting, auditing, financial analysis and reporting. She holds a bachelor’s degree in anthropology and is a Certified Chartered Accountant. 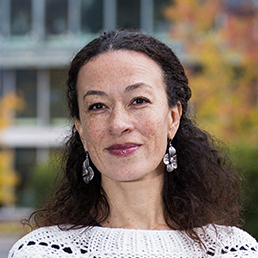 Monique was director of management reporting at the University of British Columbia in her native Canada, and worked at the World Health Organization before joining Unitaid in 2012. 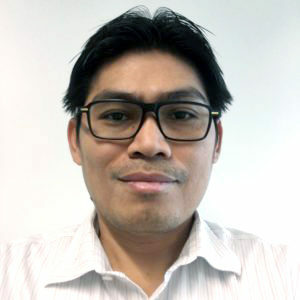 Pablo, a medical doctor, came to Unitaid in 2018 and is working on Unitaid’s malaria grants. He has held various posts with the government of his native Chile, including at the National Health Fund (FONASA). He has also worked as a health systems consultant for US firms in support of universal health coverage in primary care in Asia and sub-Saharan Africa. His interest in global health grew out of his membership on the board of the International Federation of Medical Students’ Associations. He served on the board at the same time he was doing his medical internship. “I started to be more familiar with public health, and I could see how much you can achieve through it—more than treating just one patient at a time.” Pablo holds an MD from the Universidad de Chile, with training in public health and global health diplomacy. In his free time, he enjoys doing CrossFit and yoga. 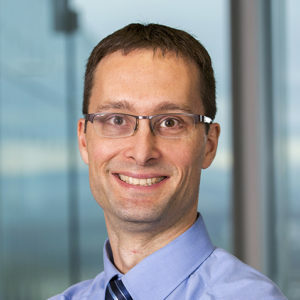 Matthieu has a background in accounting, auditing, and financial analysis and reporting. 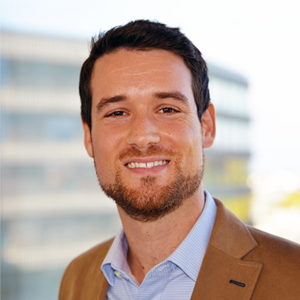 Before joining Unitaid in 2016, Matthieu worked as an associate finance officer and programme officer at the Global Fund. He holds master’s degrees in management and administration. 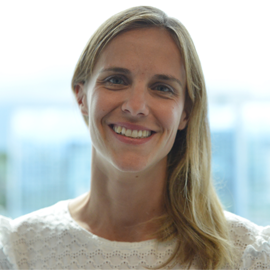 Sanne joined Unitaid in 2014, bringing a background in strategy & policy development, partnership-building and programme management. She has worked in the private sector, at the Global Fund and in the UN system. She holds bachelor’s and master’s degrees in economics. 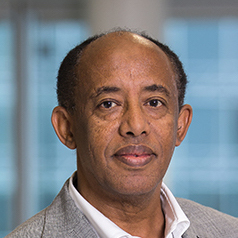 Dr. Yohannes has an extensive background in medical parasitology, epidemiology and public health. He has worked at the Ministry of Health in his native Ethiopia, and at the World Health Organization. In 2010 he joined Unitaid, where his focus is malaria control. Dr. Yohannes holds master’s degrees in medical parasitology and public health and a PhD in health studies. Before joining Unitaid in 2018, Sina was a programme officer at the World Health Organization Emergency Programme. She has also worked as a regional coordinator for an international peace-building organization, gaining field experience in West and East Africa. Sina has master’s degrees in both international relations and public administration. She is Swiss.